Are Google Maps Really Free, Or Are We Sacrificing Privacy For These AI-Powered Services? There is no denying the fact that Google Map serves as a common pathfinder for hundreds of millions of people across the globe. However, there is a much darker side to this, because, in essence, Google harvests our data and pushes paid services towards us. Whenever we key in a location, Google’s advertising algorithm chooses which service should be listed first. In fact, our location data is used in multiple ways by Google. For example, it is used to provide an accurate ETA on maps, deliver contextual advertising and supply it to advertisers who can understand consumer behaviour better. 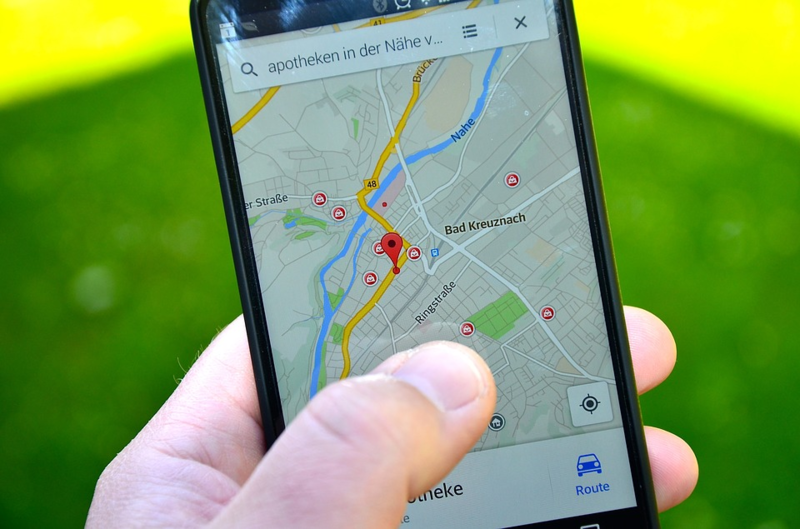 Recent reports have suggested that every time we feed in a location on Google Maps, we are in a way, helping improve the engine which is aggregating our data. Let us consider a very common use case. You are traveling to a distant location and you search it on Google Maps. It will show you the fastest route. On your way, you decide to eat and you do not know where to find a good restaurant. Again Google Maps comes to the rescue. This time we will have a lot of options to choose from unless you searched for a specific restaurant, Google Map will show you a list of them. The moment you choose one and click on a restaurant, Google will present you with the fastest route, distance, arrival time or rating, among others. This is a common routine for many of us and yet we have no clue how Google Map does it and how they get paid for these services. Advertising: When you search for a restaurant near you, it may not often be the one that is closest to you that makes it to the top of the list. Instead, Google’s advertising algorithm chooses which ones to be listed first. And you know advertising is not free and Google makes use of the huge amount of data that it collects from you and the millions of other users to do this. Privacy: Google knows more about you than you do. But the catchy thing is Google does it with your permission. Google Map is always tracking you actively collecting data non-stop. Google uses that data to judge demand for any specific search that a user makes helping it to identify user behaviour and derive business strategies. Data: Google makes use of both individual data as well as aggregate data collected from millions of its users. For example, if Google notices a lot of active users moving slowly on a highway, it adjusts the arrival-time estimates. Data is an important asset as it provides more value to the company both in terms of providing market strategies as well as in support for their applications. Interconnected Apps: Google, having its own mobile platform that hosts over a billion devices, has its fair share of applications such as weather, chrome etc all of which are interconnected and often share data between them. And it’s not just Google Maps, any app that makes use of location tracking, once you grant the permission it will go with you wherever you go until you turn it off. There are a lot of companies and third parties that use data generated by location tracking apps. In fact, location data is one of the best data to provide value as it all based on what you do and not on what you like. Here is a small list of scavengers who feed on location data. Retailers: By merging mobile phone data with real-time foot traffic, retailers potential customers. Employers: They use location data of the employees to reconfigure building layouts to optimize placement of both individuals and teams. It also gives them a way to monitor you. This is just the tip of the iceberg. There are a lot of ways in which location data is used by third parties. Sure almost all of the companies have strict policies regarding the privacy of its customers or users in the case of apps. But there are some people for whom policies are nothing more than a bunch of words like the Russian hackers. Google may claim to have the world’s most secure data centre capable of protecting its users’ data but that doesn’t mean they are invulnerable. After all in the end policies are just policies and not laws. And what about all those tiny companies compared to Google. Do you think they are all policy keepers? In the end, it’s all up to you as a user to think if you are happy to risk all your privacy for the sake of a better service. Are you ok with organizations using your data to come up with better marketing strategies for their business? Well, it sure will benefit you in one way or another but is it worth it. We can not ignore technology and we must not but like all disciplines, technology should have an ethic too.